At the centre of an Alberta mall catering to four First Nations grappling with massive unemployment is a cafeteria that dishes out burgers, fries and bannock – cooked and served by temporary foreign workers. 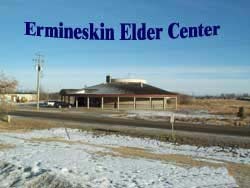 The exact number of foreigners employed by Ermineskin Cafeteria’s owner, Howard Ng, is unclear. Mr. Ng, who is not aboriginal, did not respond to repeated interview requests relayed to him through phone messages, e-mails and a couriered letter to his corporate registration address in Edmonton.